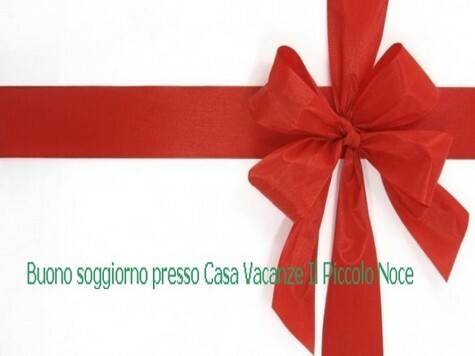 We welcome you on the website of Il Piccolo Noce near Perugia, where you can experience the rural tourism, a unique mix of Agriturismo and B&B, with the atmosphere of the past and the feeling of being at home. Book your stay for at least a week four months in advance, and you'll get an exclusive discount of 20%, a typical local product. To discover all our promotions, pls. visit the section "Prices and Promotions"
Surprise your friends, family members with a truly unique gift: a stay with us and a tasty tasting of wines and typical products. to you we reserve an exclusive 10% discount with your next stay with us. Vouchers for weekly stays are also available upon request. The voucher will be sent to you by e-mail or if you prefer we can personalize it and send it directly to your friends, or relatives.